Rolled out only a couple of months ago, OnPing’s new virtual parameters are making OnPing more versatile than ever. Parameters can now be created to combine multiple data points in to a single value with additional calculations or filtering to answer very difficult data questions. The first major use of these is our new volume per day calculation for tanks. OnPing can now not only tell you the level of your tank, and alarm you to specific situations, but it can estimate the cumulative total of fluids put in to your tanks per day, regardless of how often they are emptied or drawn from. 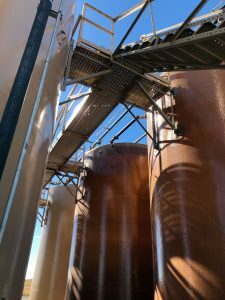 We can produce this data with existing tank level monitoring equipment in most cases, meaning no additional hardware or software needs to be purchased. This value can be added to automated daily reports to bring your oil or water volume in to a greater perspective. We’ve only begun to explore the possibilities of what virtual parameters can make possible for OnPing. We’d love to hear your ideas for future uses. There are, of course, limitations but we’re expanding the capabilities and scope constantly. We love solving our customers unique problems.